For large charities, this report tracks the flow of donors over the previous year and shows which marketing activities are working and which aren’t. Just like an annual Cash Flow Statement to manage your finances, this report tracks where your donors are coming from and why they are leaving. are we better at attracting new donors or keeping the donors we have? Is the current balance between acquisition costs and retention costs wise? which is the most cost effective marketing acquisition activity? which is the most cost effective marketing retention activity? are staff working on the most cost effective projects? For example, even though social media has no cost, is it an appropriate use of staff time? Do we have enough measures in place to track our staff time effectively? Is it possible to reduce marketing staff costs by diverting work to volunteers? what activity can we cut to improve our CRA Fundraising Ratio? if a new activity is proposed, how will it compare with existing activities? 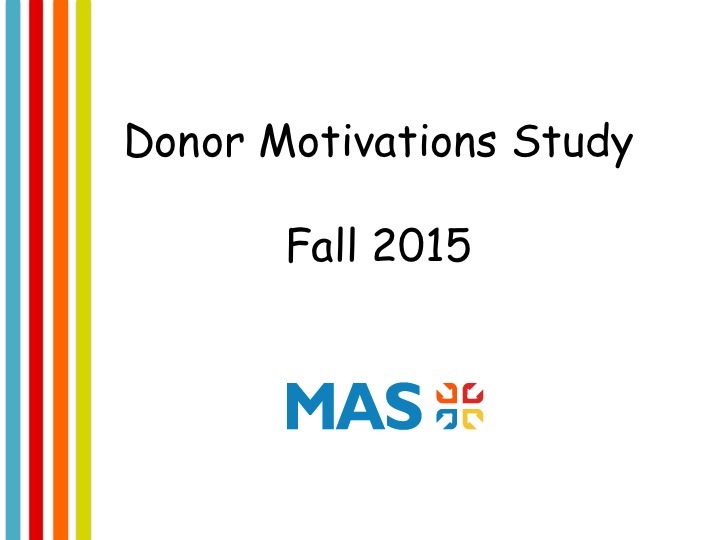 do some activities attract more generous donors? More loyal donors? set specific objectives for next year for each of the multiples. If you need to improve donor retention, review their Touch Points. If you need to improve donor acquisition, analyze your database to define your target donors (demographics, etc) and attract similar new donors by experimenting with different marketing activities. you do not expect staff to log their effort on time sheets. Rather ask them to pause for 10 minutes at year end and make an estimate.